Unique transformational education for life programmes that aim to support and empower YOU in reaching your highest potential. As a Transformational Educator, Speaker, Trainer & Coach, Dina’s unique programmes aim to develop key life skills, skills that were often never taught in school but essential to our personal and professional wellbeing, happiness and success. Having won the audience’s vote for her pop-up talk, Dina took the main stage at TEDXBasel with her message about burnout, and how forging a relationship with your sofa is pivotal in becoming a more inner balanced happy high achiever. Our book answers the question, “How do I, as a woman, develop my leadership skills and still stay true to who I am?” Find out how a group of amazing women have developed our leadership skills. My chapter, called ‘Free Your Inner Leader,’ outlines the journey I took to get from where I am to where I am today – a story which I hope will inspire women to take the leap into their destiny. Wondering how I did it? Then, wonder no more. Burnout happens for a reason. My mission is to help you discover why. Burnout happens for a reason. It’s a chance for renewal, a chance to re-ignite and re-vision your life. Pass the test, learn the lesson, and finally become the person you are destined to be. “I met Dina, on the 26 of May, 2018 at TEDXBasel, where she was selected to present her 3-mins pop-up talk on the main stage. She definitely knows how to communicate and engage with her audience and her story-telling style is just so natural for her. Her talk about going from burnout to brilliance really resonated with me because at the time I was really overwhelmed in my personal and professional life. As a result of the talk, I contacted Dina and we started working together on both of these aspects of my life, and I must say that her support with my professional challenges was very important to me. I know you don’t want to miss out (and you don’t have to!)….. 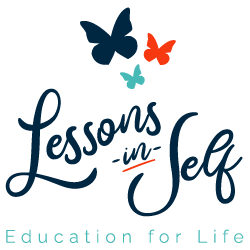 Join the newsletter to be the first to hear about Lessons-in-Self exciting new offerings with extra special sprinkling of goodies. I’d seriously love to keep you updated of my work, together we can make a difference! A bank of Lessons-in-Self life’s lessons. Missed any? Find a bank of materials of the featured fortnightly lessons to support you on your life’s journey. Want to get a taste of who Dina is? What Lessons-in-Self is all about? Want to see snippets of my transformational education programme? Then enter the video vault! Coming soon!!! Exciting online courses for YOU! To help you master the featured lessons. This is where the magic really happens – so excited! Can’t wait to launch! Looking for more inspiration? Find links to additional sources to compliment your journey. Think something’s missing? Want to feature your product or service? Contact me. I would love to add you!